Branded as The Office of Important Art, the unit will host storytelling, creative play, and some festival events. Open 11am-5pm daily; 2pm-5pm on Sunday and 11am-8pm on Thursday. You may also find it open intermittently in the weeks before and the months after the festival. A Boy and His Box in The Lyric on Sunday 9, Monday 10 and Tuesday 11 March. 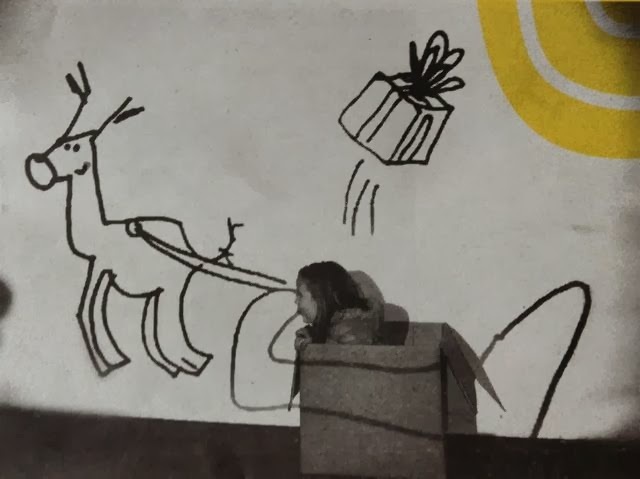 The story of a boy, his box and his vivid imagination. Live drawing, projection, quirky tunes and imagination triggered by the stroke of a pen. Age 4-8. Tickets £6, or £20 family. After the festival, Replay Theatre Company will be touring the show through Armagh, Limavady, Dun Laoghaire, Sligo, Newbridge, Downpatrick and Strabane. A Mano (By Hand) in the MAC Upstairs on Friday 7, Saturday 8, Sunday 9 and Monday 10 March. A story told with clay through a small character who wants to escape from a shop window and its inhabitants. Four hands, two people, and a love story. Age 6+. Tickets £6, or £20 family. Bang! in the Baby Grand on Saturday 8, Sunday 9 and Monday 10 March. Compagnie Volpinex produce a Western film in front of the audience with Mexican bank robber El Bandido being pursued across the desert by Sheriff Jacques Daniel, projecting it out live and creating all the sound effects. Age 8+. Tickets £6, £20 family. 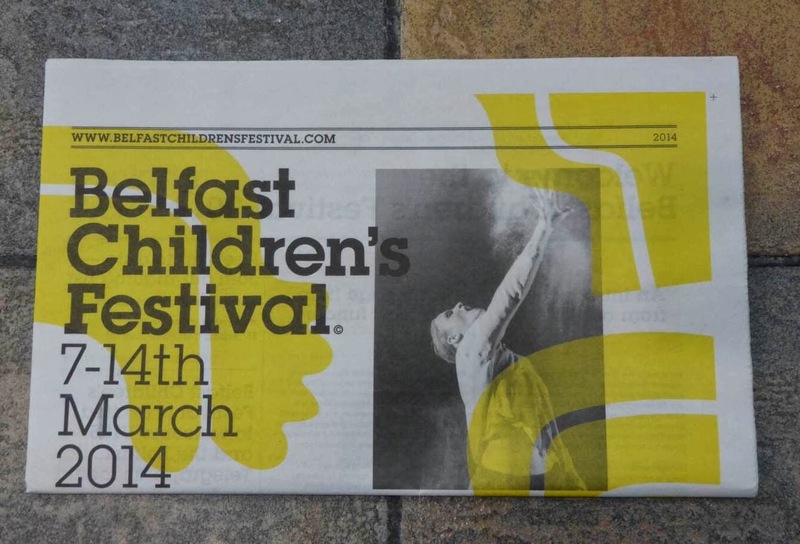 The Ice Child in The Lyric on Wednesday 12 March. The fairies stole the baby and left the Ice Child in its place, lost in a world that doesn’t understand and doesn’t welcome him. You can’t hug or cuddle him or he’ll melt. A tale about growing up different. Aged 8+. Tickets £6, or £20 family. Cracked in Baby Grand on Wesnesday 12 March. A whodunit live art installation. Examine the evidence. Form your conclusion. And cast your vote. Age 8+. Tickets £3. Two free theatrical previews in the Baby Grand on Wednesday 12 March at 2pm, with extracts from Liz Cullinane’s Playing Adults exploring how adults hold onto childhood, and Rubbish by Jude Quinn combining imagination with the truism that one man’s trash is another’s treasure. Free, but booking required. Instant Orchestra in The Lyric on Friday 14 March. Quickly master the art of playing the Indonesiam tuned bamboo – the angklung – and join the orchestra. All ages. Tickets £6, or £20 family. Big Ears: Sonic Art for Public Ears in the QUB Sonic Arts Research Centre (SARC) on Sunday 9 March. An all day exploration of music, sound and technology with industry facilitators in an amazing sound design space. Age 11-14. Tickets £10. And the Baby Rave’s back Bollywood style in the Waterfront on Sunday 9 March. Tiny tots and their parents grooving to the beat along with sensory toys, parachutes and projections. Age 0-4. Tickets £5. 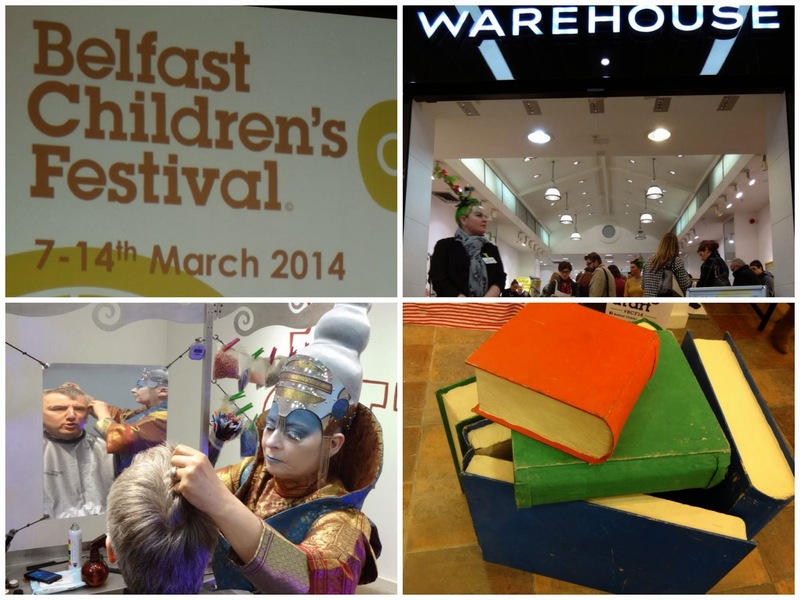 And lots, lots more … see their online programme for more details. Rev Michael Barry is softly spoken. He’s not a stickler for formality and displays an easy sense of humour. A maths teacher before he went into the ministry, he’s been pastoring the Sandys Street congregation in Newry since 1985. If he hadn't been a teacher and then become a preacher he says he'd like to have gone to sea. 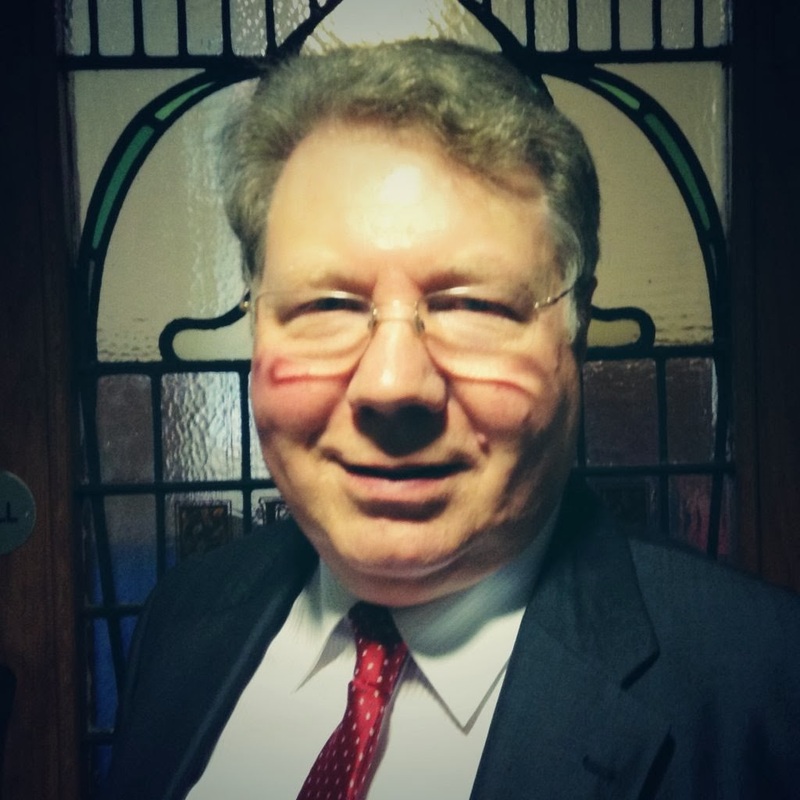 Last night he was one of the three ministers who tied with five votes each in the first round of the election for the Presbyterian moderator to take over at June’s General Assembly. Along with Revs Liz Hughes and Ian McNie, the Newry minister had to wait a little longer for the final result while another round of voting was organised. In the end, seven Presbyteries cast their vote for Michael Barry with the remaining twelve evenly split between Liz and Ian. Describing the experience as “a surreal night” the moderator designate said he felt “humbled and honoured” that the church had asked him to be the new moderator. This morning Michael Barry woke up to be interviewed on Radio Ulster and Radio Foyle before coming up to Belfast for a press conference. His first week as moderator will be busy chairing the business at the denomination’s annual conference which will again have to address the re-organisation of the denominations central support staff and boards of mission and ministry. Unplanned and unexpected events, terrorist attacks, and church discipline tend to shape the rest of a moderator’s year and the legacy they leave when they handover to their successor. But at the outset I asked the moderator designate what he hoped to achieve during those 51 weeks? Serving the community and reaching out into the community will be PCI’s theme for his moderatorial year, part of the denominations’ five-year Fit For Purpose programme. While there are still “some folk who really refuse to work with others” he recognises “there has been a tremendous change” in Newry in over the 29 years he has ministered in Newry. Michael Barry describes himself as being from the “conservative wing” of the Presbyterian Church. While definitely conservative on some issues, he’s less traditional on others. In Newry he enjoys good relations with local Catholic priests and laity, shares platforms at civic events and has attended wedding and funeral masses in Catholic churches. He spoke in the press conference about “God being forgiving” and his willingness to pray publicly for grieving parents of dead terrorists. Ecumenically, he draws a line at sharing in the joint leading of services and sounded a little uncomfortable on the radio this morning answering a question about the potential for a future female moderator. “One of the great cries of the reformers in the 16th century was that the church should be reformed and always reforming. I’m glad we are a reformed church and I think we do reform. Perhaps not always easily. Generally we are a conservative church and change comes perhaps more slowly to us than in other places. Anything specific he’d like to see reformed? So expect a lively opening night of General Assembly! Does the church have a role to create space and lead society as we deal with the past, commemorate centenaries of events across the island? The people we deal with, the people we shout at, we harangue, are people who bear the image of God. We need to treat people with respect. And if we were to do that we would possibly find that we are able to connect with them better.